This beautiful NEW construction is situated on an acre of land in Flat Rock. Outside there will be a covered front porch and an open rear deck. Come early and pick your colors! Inside is a spacious living room leading to the dining room and kitchen. From the kitchen, there is a utility room with a washer and dryer hook-up and a pantry! The master bedroom is spacious with a large walk-in closet. The master bathroom has a stand-up shower, double sink vanity, and a large bathtub! On the opposite side of the home, there are two additional bedrooms with walk-in closets and another full bathroom. There is also a full attic that stretches the full length of the home and has additional storage! 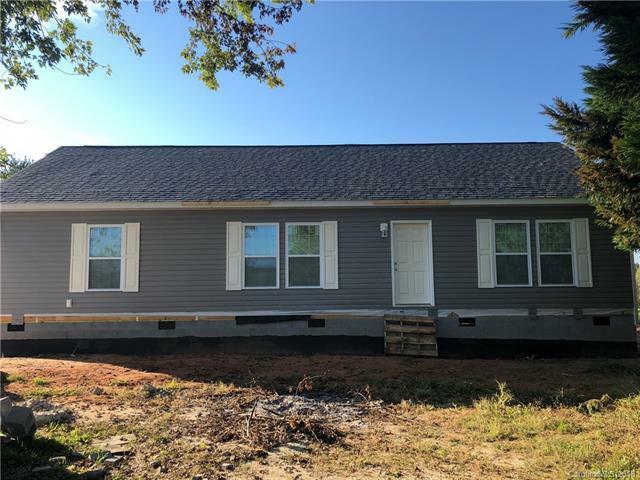 Once this beautiful home is complete it will be the perfect home for a family! Priced to be a great value! Quiet, private lot minutes from town and amenities.